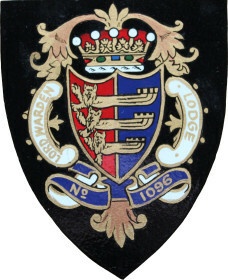 Like so many Freemasons Lodges, the Lord Warden Lodge first met in local public houses, with the landlord of each public house often being a member of the Lodge himself. 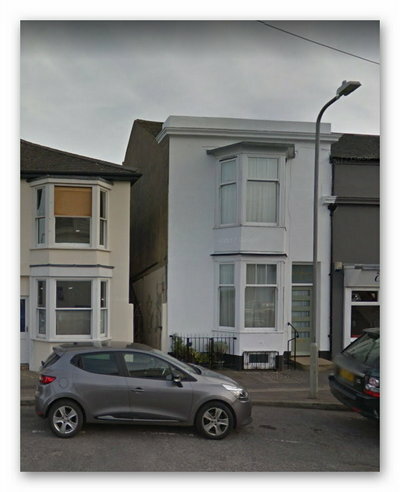 The first meeting place for members of the Lord Warden Lodge, is recorded as the “Royal Standard Hotel, North Barrack Road, Walmer. It is hard to pinpoint the exact location of this Public house, as local records do not show the building on any map. The Lodge next moves to the Lord Warden Inn, North Barrack Road, Walmer in 1867. An advert in 1869 mentioned “all that newly built and convenient hotel, three excellent billiards rooms, bar, bar parlour, coffee and sitting rooms, 5 bedrooms, coach house, stable and other conveniences”. Later, the Billiards Rooms were separated from the main property and became known as the Forresters Hall and later the Ace Ballrooms. We have moved back for another period into the Lord Warden Hotel North Barrack Road. This is how the building looks now. Photo coutacy of Google Maps. The next period has been even harder to trace, the Lodge took residance in the following halls. St Georges Hall, Park Street, Deal. 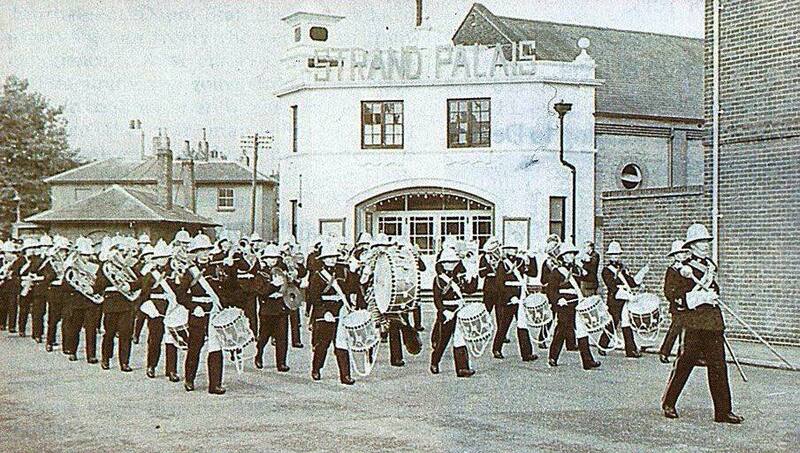 and back to St Georges Hall, Park Street, Deal. 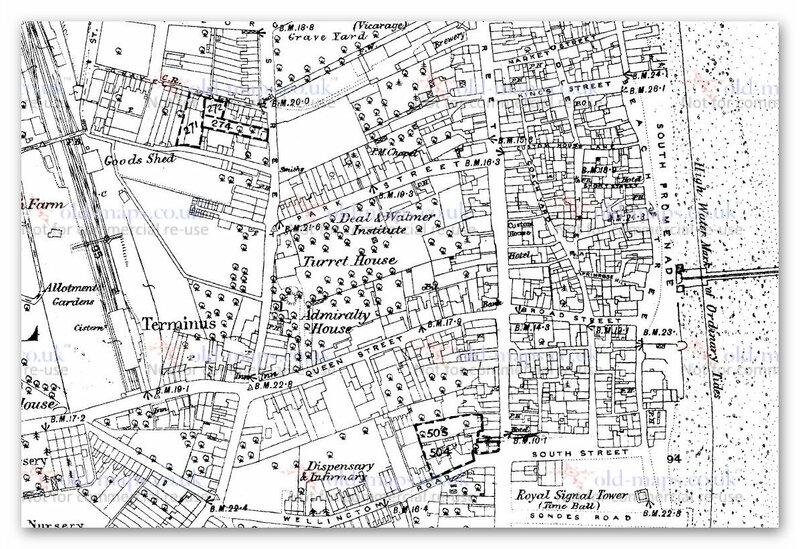 The map opposite, shows a public house situated in Park Street. Finally we arrive in our current home. 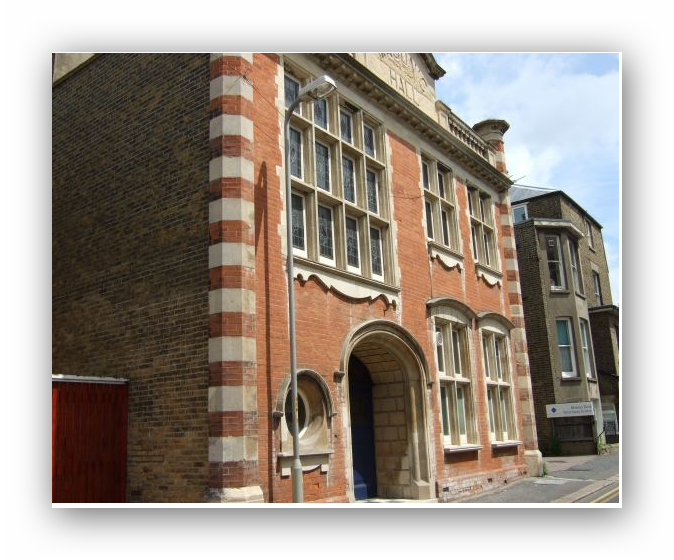 The foundation stones of the Masonic Hall Sondes Road, Deal. were laid on the 10th May 1910 and on the 27th September 1910, an emergency meeting was held under the banner of the Wellington Lodge No. 784, to open the new Temple with their Worshipful Master, WBro Wilfred Court, in the Masters Chair.